Annie Griffiths, one of the first women photographers to work for National Geographic, spoke to the Washington, D.C. chapter of WLN on April 7, 2011 at the National Geography Society building. Griffiths has photographed in more than a hundred countries during her illustrious career. She has worked on dozens of magazine and book projects for the National Geographic Society, including stories on Lawrence of Arabia, Baja California, Galilee, Petra, Sydney, New Zealand, and Jerusalem. Griffith’s presentation, “Connect with Anybody, Anywhere” combined her world renowned photography with compelling stories. 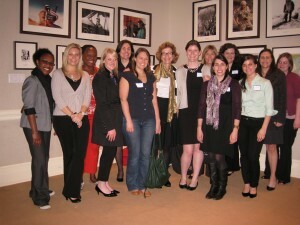 As one of the first females in her industry, Griffiths provided an interesting perspective for the WLN audience.